It's summertime, and we can all enjoy the long days, sunlight, and warm temperatures. The change in temperature is certainly welcome for many of us, but it is often accompanied by higher humidity as well. This increase in humidity can also mean that you find yourself cleaning off tarnish from your flute more often. 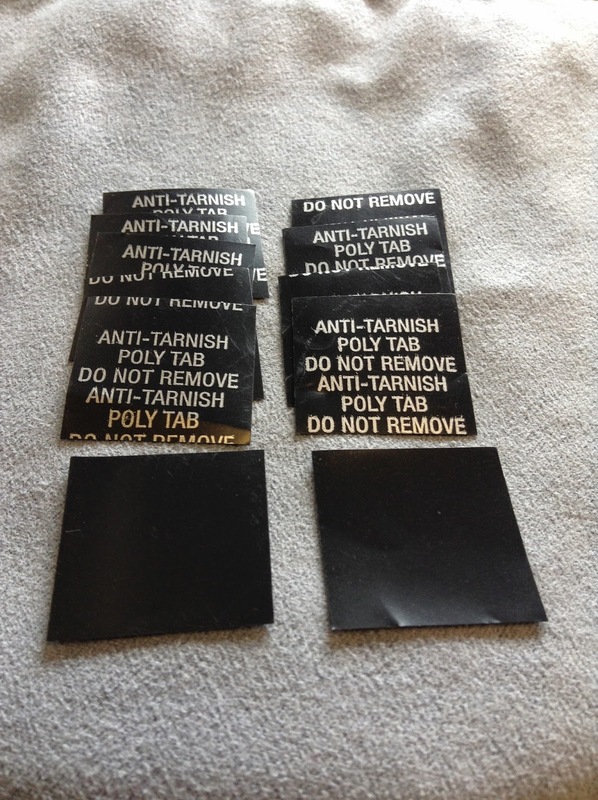 We had a previous post about anti-tarnish squares which you can read by following this link. Our Vice President of Production, Rob Viola, came across new anti-tarnish strips from 3M that he found to be even better, so these will now be in the cases of new flutes. However, they are also available for purchase at the VQP Shop at https://powellflutes.com/vqpshop/polishing-cloths-swabs-and-anti-tarnish-supplies/anti-tarnish-squares. Now that we have these new strips, we wondered if there is a particular part of the case where they should be placed for maximum effectiveness. Our Repair Technician and Customer Service Manager said that you can really place them anywhere you'd like -- other than inside the flute! They also noted that it's okay if you open your case and find that the strip has moved. The strips are very light and will not damage your flute if they move in the case. At Powell, we place the strip in the bottom left-hand corner inside of the top of the case -- simply because it fits well there! So, enjoy the beautiful summer weather, but don't let the higher humidity get the best of your flute. Always remember to swab out your instrument thoroughly, and consider adding a small anti-tarnish strip inside the case. You'll want to replace the strip from time to time since they do wear out. Also, if you purchase a new Powell and see this strip, don't throw it away -- it can help keep your flute happy and tarnish-free! Bottom left corner inside the top of the case is a good spot for the strip.